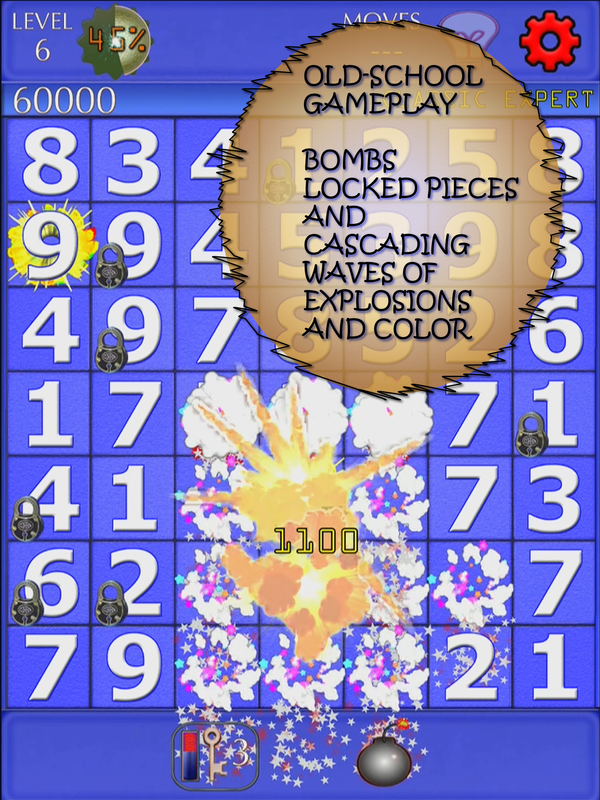 Released on February 1, 2013 on the iOS App Store. Link or locally, Here. 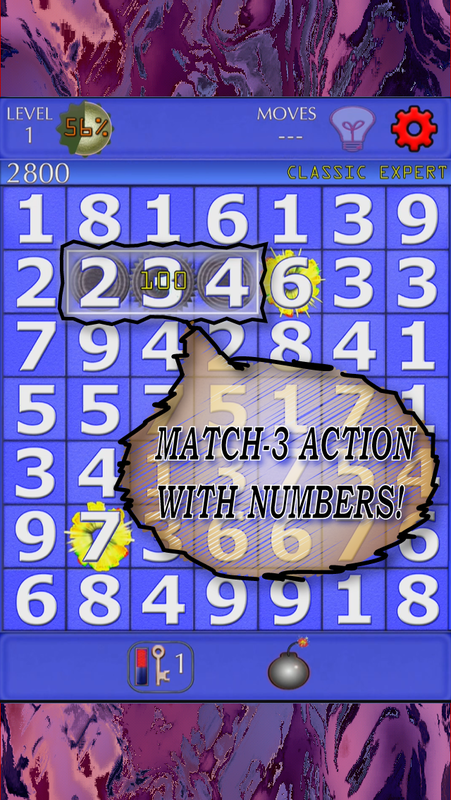 Numberheads is a unique match-3 style game using numbers as playing pieces in a 49-piece, 7 by 7 grid. 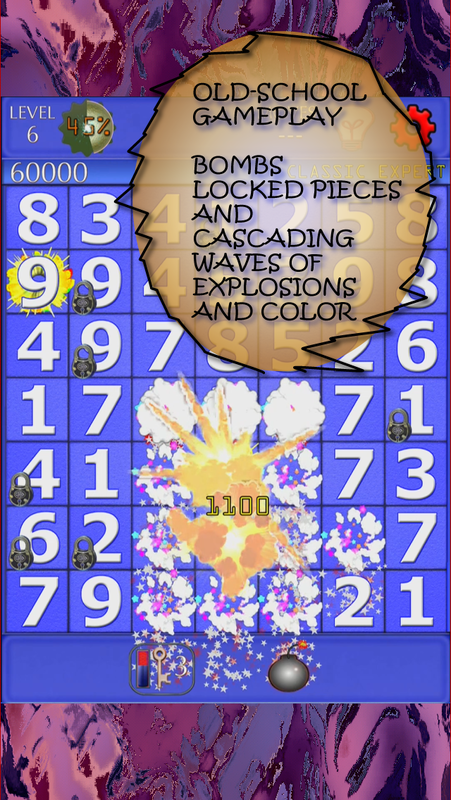 The player swaps two pieces by tapping or swiping the touchscreen. Pieces can be swapped in all eight directions, not just vertically and horizontally. 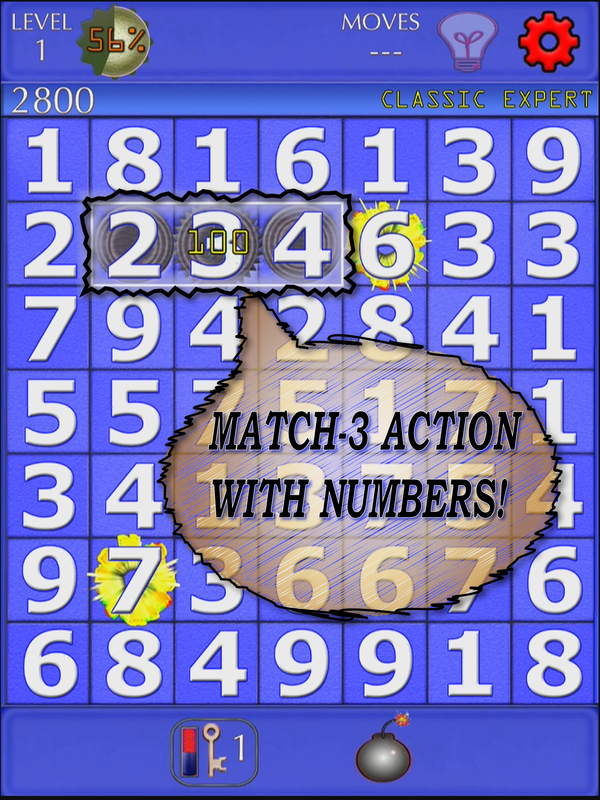 The object is to create sequences of ascending or descending numbers, which are removed from the grid as new pieces drop down from the top of the screen. 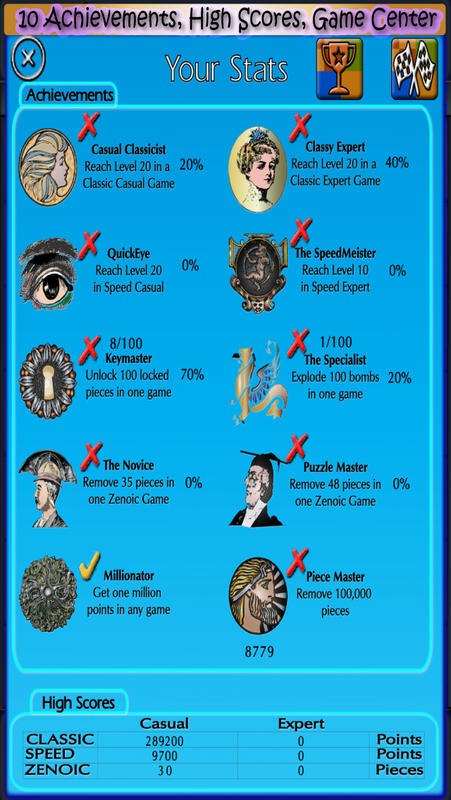 Familiar types of bonus pieces, including locks, keys, and area “bombs” keep the effort level casual and keep replay value high. 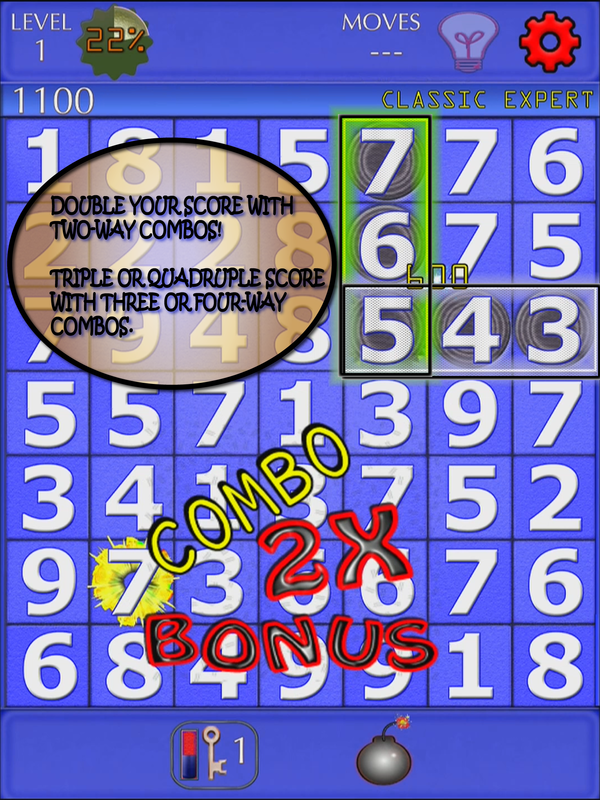 Expert players can choose a harder difficulty level. More challenging than “standard” match-3 games, but easy to master. Wide variety of sound effects are overlaid in real-time for aural player feedback. 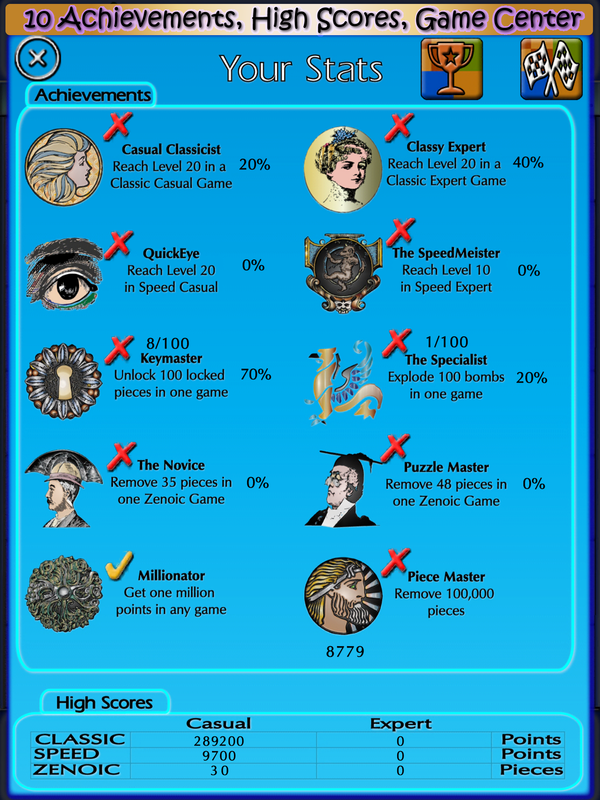 Varying difficulty in each level enhances player engagement. Familiar special pieces allow instant player comprehension . 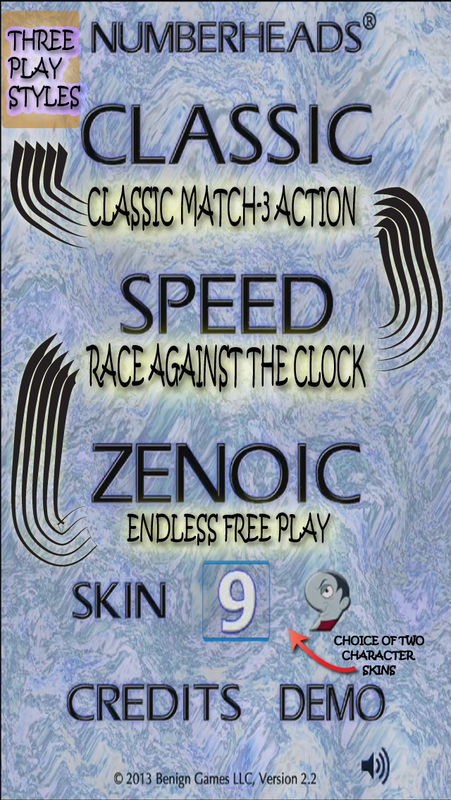 Timed and “Zen” game variants. Pause and Auto-hint features for new players can be toggled off. Built-in comprehensive help system using iOS’ HTML viewer. Compatible with iPhone4 and newer, iPod Touch 3’d generation and newer, and all iPads. 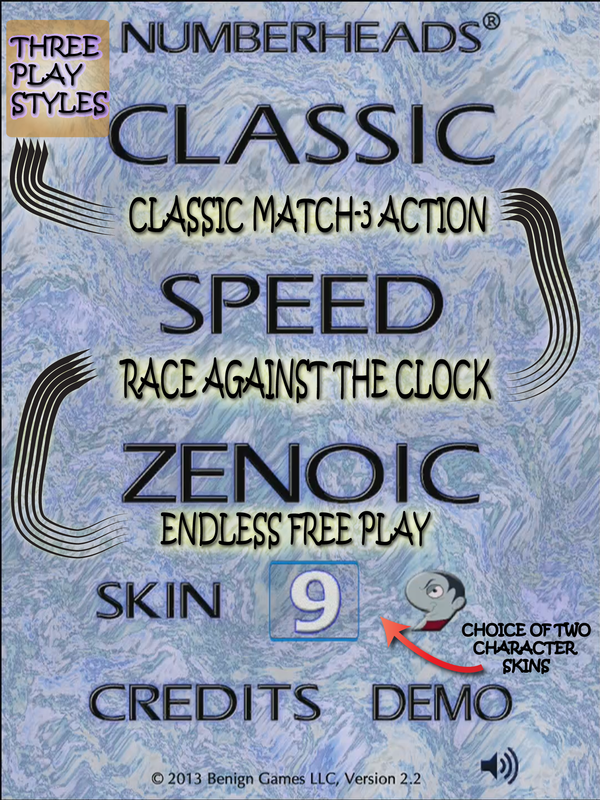 Built with reliable Unity3D game engine. Benign Games is about as small a game studio as you can get (one person) : Jeff Sasmor. 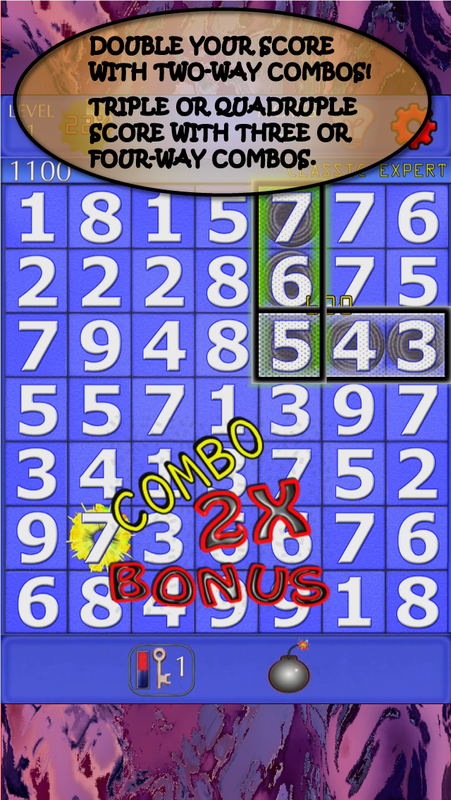 The company began official operation in June 2012 but development of the first game, Numberheads, has been ongoing since about November 2011. Jeff has been a software engineer since the Flintstones were pushing their rock cars around with their feet. Well, not quite that long, but his first game was a Star Trek game on the Commodore Pet in 1978. Since then, he’s been doing embedded DSP (Digital Signal Processing) software, Developer tools (including one released with the first NeXT computer) and effect plugins for Avid’s Pro Tools audio workstation. After some time working on several open-source projects, Jeff decided to cross over to the dark side and day-trade for a number of years. He found that he enjoyed creating technical study software for trading workstation platforms more than the trading itself, and for that and mental health reasons (day trading is only slightly less stressful than lion taming), returned to software development.